Let me tell me you a little more about today, and Rome. If you had told me a few months ago that I would be in Rome for my birthday, I would not have believed you. I mean, how spoiled am I? It feels like a real dream to be in such a city today. I will have so much to tell you about Rome and the romans. So I guess today is my birthday, the day when I count a few more wrinkles, but so much more wisdom! N’est-ce pas ? I won’t have the time to share a recipe with you I am afraid, even if I am dying to tell you about this scrumptious dessert — I made it before I left. As you can imagine, a birthday girl in Rome has plenty on her plate to do before the day is gone! But I thought to celebrate a piece of this special day with you anyway, especially since it celebrates a few of my dear friends too: lovely Anita from Dessert First in San Francisco — she and I decided to both prepare a strawberry rhubarb tart today — my dear Tina in Melbourne, and Melissa in New Zealand. How cool is that to have the same birthday as them? So what about the tart, you will ask? You know my love for strawberries, and rhubarb too. So I decided to treat myself with two of my favorite things in a dessert, and made sweet tartlets with fresh strawberries, a vanilla flavored rhubarb compote with a light vanilla custard , everything on top of a sweet crust made with rice and quinoa flours. When I come back, I will have to take the time to write it down for you. It was hot; it was fun. We walked until our legs felt heavy and sore. We ate; we shopped; and we even had a drink with the lovely Sigrid and her husband. I wish that every day was like today. But then, that would make me very very old indeed, so let’s forget about that part, shall we? Ohlala! Happy birthday 2U! I wish U “Boldog születésnapot” – hungarian! and congratulations for your blog, is great!!! I hope you having a lovely time in Rome – I love the picture of you with the umbrella! 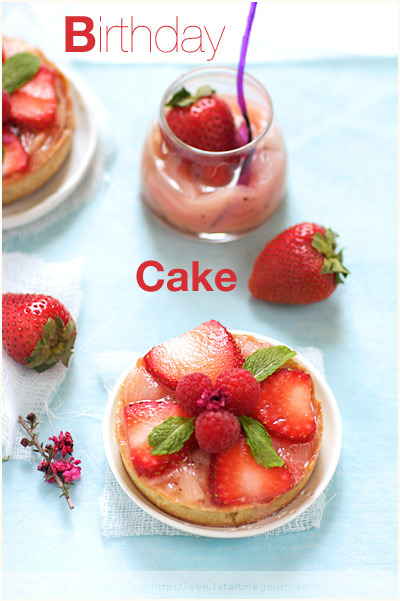 I think it is so cute that you and Anita both made the same gorgeous tart for your birthdays. Happy Birthday Bea. such a beautiful birthday girl. all the best to you!!! bon anniversaire, bea. Happy Birthday Bea! 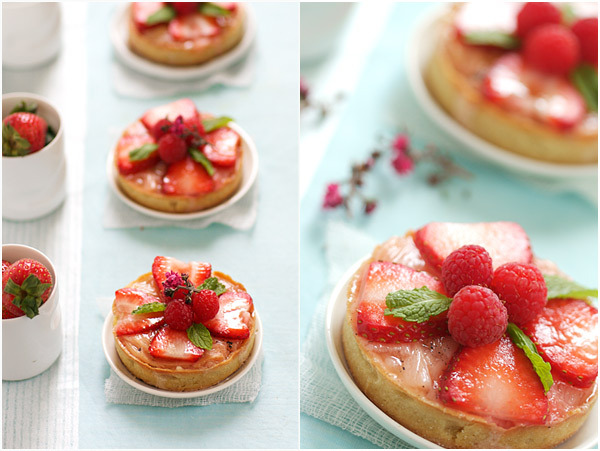 The strawberries tarts look gorgeous! Beautiful sounding vacation! Happy Birthday! and the tarts look scrumptious. Rome looks lovely, the sight of all that sunshine warms me up a little in the New Zealand winter. …and if you ask me, wrinkles are the path to wisdom. Happy Birthday! 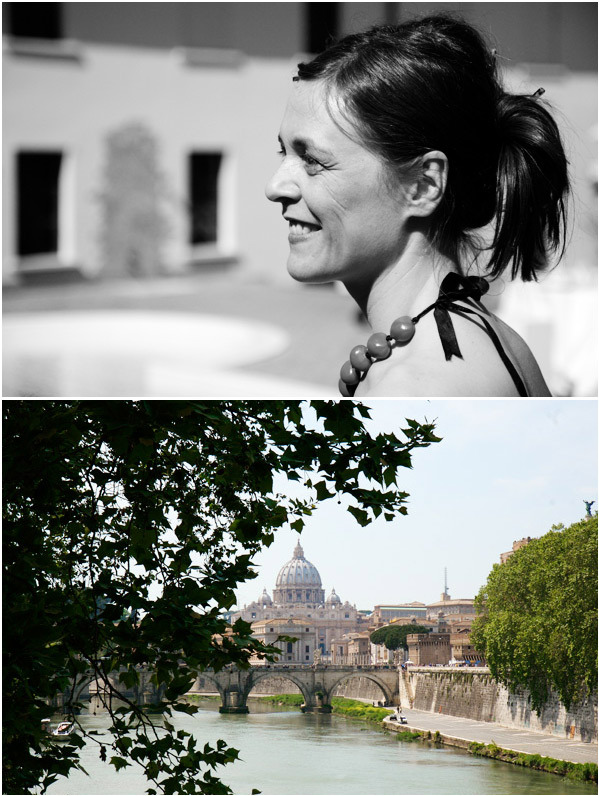 I was able to celebrate my 30th birthday in Rome a few years ago, and it was a magical day. I’m sure yours was as well. Joyeux anniversaire à la plus talentueuse et la plus merveilleuse d’entre toutes. A very happy birthday to you, dear Bea! And enjoy Rome- what a way to celebrate!!! Rome is a great place to celebrate! Those tartlets look wonderful! Happy birthday. I hope you had a wonderful day. Happy birthday Bea! I can’t imagine a better way to spend a birthday than in Rome. How lucky are you! Enjoy your European vacation and keep on photographing! Feliz Aniversário!! Happy Birthday Bea!!! Rome is the best present of all. buon compleano !!! et profite de ces precieux moments en Italie et surtout avec ton mari ! Happy Birthday & many happy returns of the day! Better late than never – hope you have a wonderful birthday! Happy birthday and welcome to Rome! En retard , cela ne m’empêche pas de te souhaiter bon anniversaire quand même. Profites bien de ton séjour, pendant ce tant, je dégusterai cette tartelette. Happy Birthday Bea!! Looks like you’re having a great time. The tartlets look amazing. I really can’t think of a better bday treat. Cheers! Buon Compleanno! Have a wonderful time in Italy! A very happy birthday, Béa. Lovely, lovely photos. Happy birthday Bea…see you soon in Boston. Magnifique Béa… j’en ai l’eau à la bouche ! Profite bien de ton séjour en Europe et très joyeux anniversaire ! Bises. Bon Anniversaire, Béa! And many more. I also just celebrated my birthday on May 1 – i turned 30!! 🙂 Hope you are having fun in Rome! Oh Happy birthday !!!! I hope you have enjoyed your time in Rome ! And your tartlets of course ! Bon Anniversaire Bea! I am jealous you are in Rome – what a wonderful city to be celebrating in! Enjoy and have a wonderful trip! Très bon anniversaire Béa! Et j’ai hate de découvrir la recette d ces jolies tartelettes! Quelle veinarde;) Très bon anniversaire et profite bien de ton séjour!!! Happy Birthday / Bon anniversaire Béa! I hope you enjoyed your time in Rome~ looks like nice weather compared to Melbourne :(! Wonderful city and once again, wonderful food! 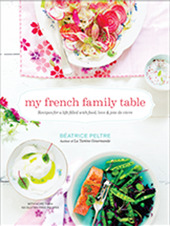 Thanks for sharing, can’t wait for the tartlets recipe to come! Happy Birthday Bea! I just returned from 5 wonderful days in Rome! My husband and I loved every minute! Enjoy!!! Joyeux Anniversaire Bea!!! malheureusement tu liras certainement mon petit mot ecrit de San Francisco un peu tard mais mieux vaut tard que jamais. Profite bien de Rome, quoi rever de plus beau pour son anniversaire? Happy Birthday to us, Happy Birthday to us! Remind me to give you the rhubarb and strawberry rustic pie recipe – also delicious not quite as beautiful looking as yours. Have a fabulous time. Happy Birthday~!~ Rome, wow…what a celebration! I’m looking forward to that tart recipe when you return, after you enjoy your self in Italy! Looks gorgeous and sounds delish! Rrrrrrrrrooooommmmme, sigh! happy happy birthday Bea! what a lovely way to spend your special day! Alles Gute zum Geburtstag! Joyeux anniversaire Bea from your (almost) daily reader from Austria. Congratulation to that wonderful life you seem to have. Your blog is always an inspiration! Buon Compleanno! tes photos sont superbes. On dirait une belle italienne, avec la touche charming a la francaise! Merci pour toutes ces recettes. Un birthday cake comme ca: oui, j’en veux bien un! Bonne fin de vacances! et Auguri! Happy happy birthday Bea! What a wonderful way to spend a birthday…and you look fantastic and dreamy in Roma! Birthday in Rome! Ah, the sweet life for you. I’ve started checking your blog out recently and I’m hooked! Love your spirit, and your photos. Thanks! Happy belated birthday! Another group of Taurus …Yeah!! I dis the same thing with Kajal of Applemint last year and we plan to do it again this year!! I could agree more to your choice of fruits! Have a lovely time in Italy! Tarts what can be better than a buttery crust and red lipstick colored strawberries? Joyeux anniversaire. J’adore ton blog et essaye souvent tes recettes. Bon anniversaire (en retard!!!) et bienvenue en Italie!!! Je suis à 250 km de Rome, et je l’aime beaucoup trop!!! J’aime ton blog aussi, et j’ai profité de l’occasion pour laisser mon premier commentaire..à bien tot! I’m a strawberry lover. This cake looks delicious, I will prepare it for sure very soon for my son’s birthday. Anyway happy birthday and what can I say? since I’m italian, travelling a lot, I want to tell you that Rome is one of my favourite cities in the world, romantic, charming,historical….wonderful food and people. Joyeux anniversaire, Bea!! hope you had a brilliant day (I’m sure you did!). Lovely photos of a lovely place. Feliz Cumple! It is wonderful that you are in Rome-and I’m so glad you are enjoying it! Hey…I have strawberries, and rhubarb! Hmmm…guess I’ll have to wait for you to get back! Lovely photos. You look so beautiful and happy! 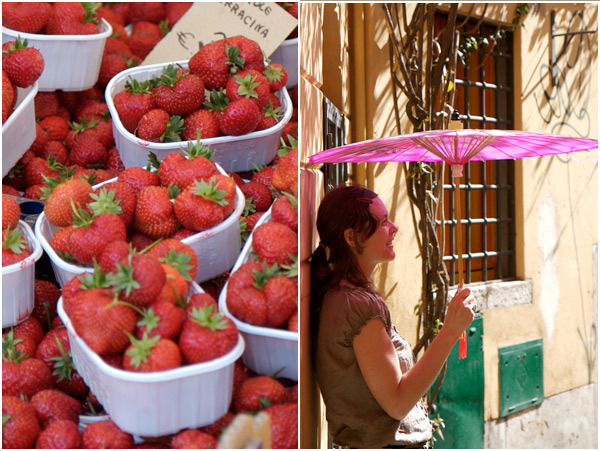 i think i know where that picture of you with the parasol was taken – was it near the piazza navona on a little square? there’s a restaurant garden in the middle and they serve amazing food… could it be? 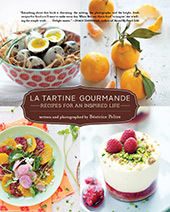 Un an de plus, and many more enjoying beautiful food and photography! Happy Birthday! Tu en as de la chance, c’est une ville fantastique. Joyeux anniversaire!! 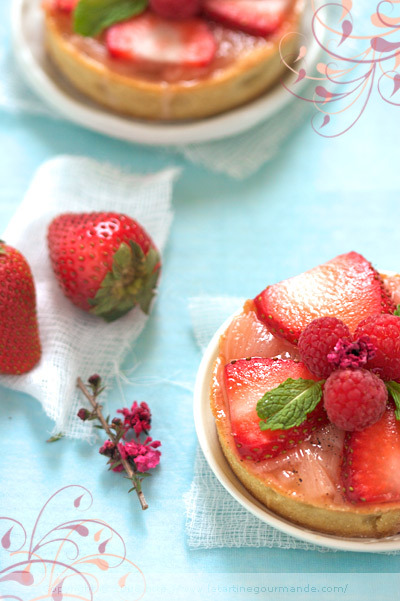 Ces tartelettes gâteaux à la fraises sont terriblement tentants!! It’s a lovely season in Rome! Happy birthday (belated) but anyways we want more about Rome. many thanks everyone once more! Johanna, it was not where you described but it could well have been since we walked across this piazza many times! Je viens de découvrir qu’outre nos origines lorraines, nous sommes nées le même jour ! Joyeux anniversaire avec 10 jours de retard ! 🙁 I missed your birthday and this cake! Such a pretty cake Béa and really wonderful fruits together. A taste for rhubarb was given to me by my grandmother so I’m always happy to see it. Happy birthday and thanks, again. Probably one of the best places in the world to spend your birthday.